I’m the first to admit: being an American is awesome, prosthesis especially when it comes to travel. It’s something I’d always taken for granted until I married a South African, and virtually every vacation is now preceded with “Do I need a visa?” For Americans, the default pre-trip position is usually “Visa? What’s that?” It is, admittedly, a perk that has been known lead to some big travel debacles, as chronicled by one of my favorite travel writers, Adam Sachs, in this Travel + Leisure essay on what happened to him when he tried to land up in China sans visa. Americans visiting South Africa for 90 days or less don’t need a visa. If you look that up online, you’ll read that right here, in the very first sentence. Foreigners who wish to visit South Africa must have passports / travel documents valid for thirty (30) more days after the intended return date from South Africa. 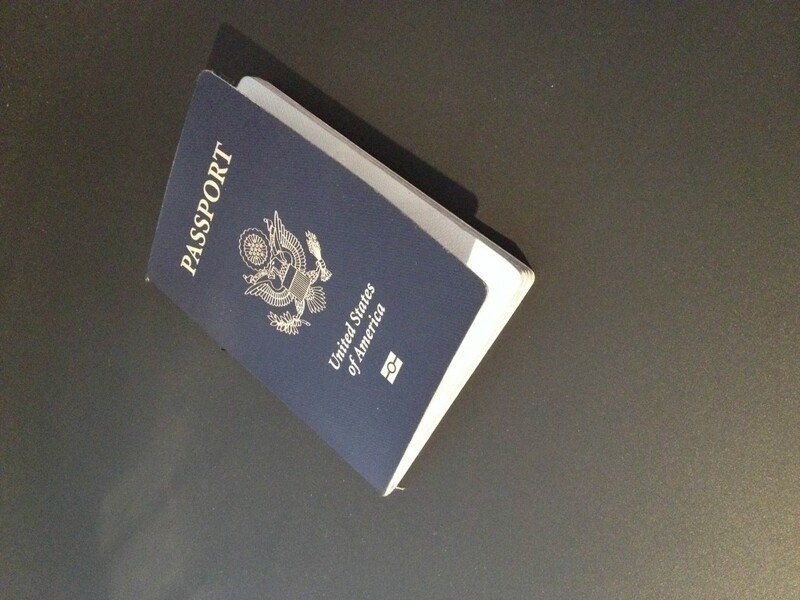 The passport must contain at least two (2) unused (blank) pages labeled Visa when presented at the Embassy or Consulate; One page is for affixing the visa or permit at the Embassy/Consulate and the other page is for endorsement of entry/departure stamp by the South African Immigration Services. Now even if you did read that far, chances are you wouldn’t think anything of it. The logical implication would be that if you needed a visa, you’d need two blank pages in your passport, one for the visa, one for the stamp. But since you, you holder of that gorgeous, invincible, ticket-to-anywhere blue passport, don’t need a visa in the first place, that doesn’t apply to you. Right? As my friend went to board her flight from New York last week, the boarding agent at the gate stopped her for not having two blank pages in her passport. No amount of crying or pleading would sway them. Rules were rules, and she wasn’t getting on that flight, so what if her ticket was paid for and she’d checked in without a hitch? Most people don’t seem to know or think much of this random requisite, myself included. But once this happened, I had a vague recollection of my very first trip to South Africa, when a ticket agent as I was boarding my connection from Amsterdam flipped frantically through my nearly full passport. She finally found two pages and explained the rule to me, relieved that was wasn’t going to have to turn away a passenger at the nth hour and deal with the inevitable tantrum. More recently, Russell Brand had to postpone his South African tour when he was refused access to his flight from London for the very same reason. Apparently, South Africa is one of four countries that has this requirement (though I haven’t confirmed that independently). Luckily, my friend’s saga had a happy ending: her flight was on a Friday, and early enough in the morning that she was able to rush to the passport agency before it closed at 3 p.m. and get additional pages added that same day, so she could take the next flight out on Saturday and salvage her vacation. But if this had happened on a weekend, or at later in the day, the delays would have made her cancel her the whole thing. So take my advice if you’re traveling to South Africa: sure, you might not need a visa, but take a quick look to make sure your passport has two blank pages. Otherwise you could wind up in my friend’s boat (or plane? Or lack thereof?). The best part of this story? When she finally landed in Cape Town, the customs officer stamped her passport on a page that already been stamped before. I just got turned away from my trip from Chile (where I live) to Brazil for a similar issue. I’m applying for a visa but it is being processed. While it’s being processed they give you a letter that says you have permission to work and travel for 6 months. The letter is dated April 17. My Chilean boyfriend even called them to be sure everything would be fine, and he assured me it would. Unfortunately we didn’t read the fine print and it was 6 months from the time I sent the application (in March) so my visa expired exactly 1 week ago. Not to mention today (Thursday) and tomorrow are national holidays so I won’t have a chance to work things out until Monday (to hopefully salvage half my trip that has been planned for about 7 months). But hey, are you really a true world traveller until you’ve had your fair share of travel disasters? (Still, totally not recommended).